Watch-Material: Japanese quartz movement, accurate timekeeping; Stainless steel case makes it super durable; Genuine leather band strap provide comfortable wearing experience. 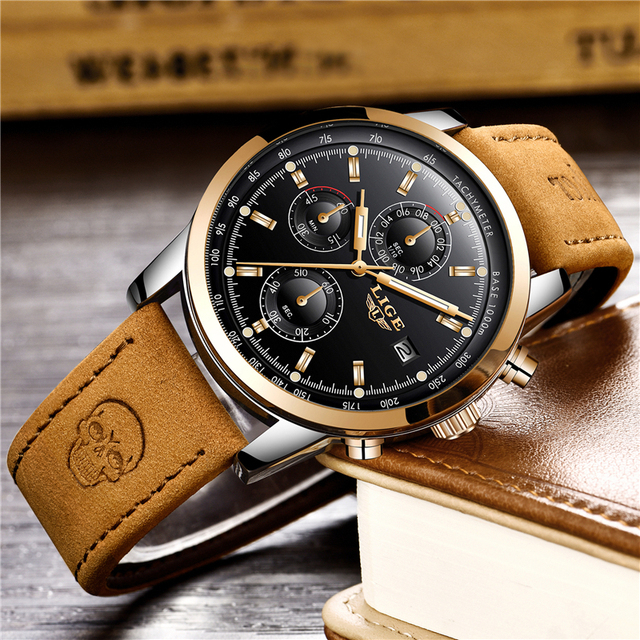 Multifunction Watch: The men watch with all small dials work; stopwatch; chronograph; auto date; luminous hands; water-resistant; shock resistant. 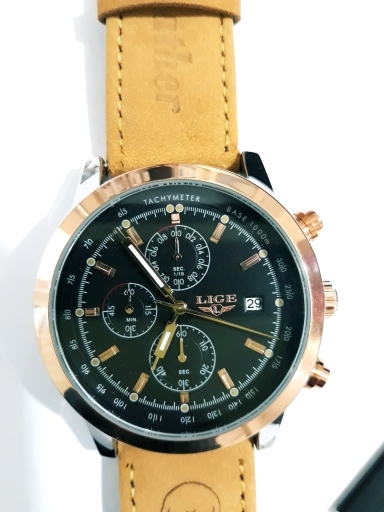 3ATM/30M Water Resistant: The big face sports watch supports daily use, hand wash, rainy day, Not suitable for diving, swimming, too much water contact will shorter watch life. 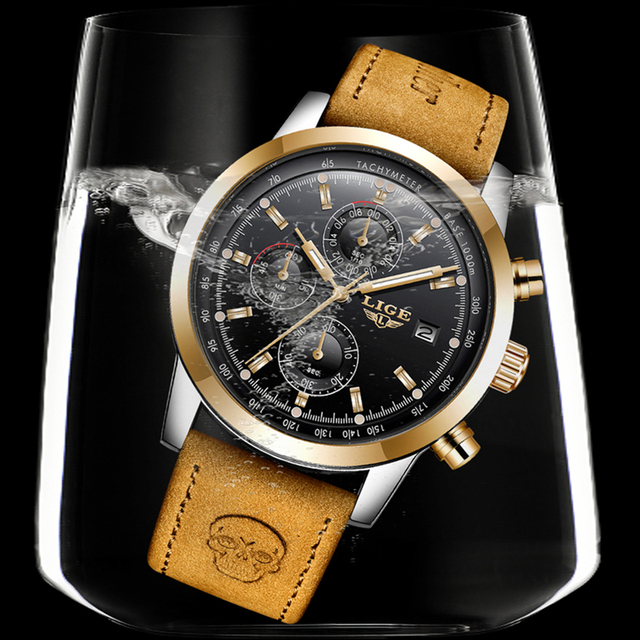 Luminous Hands: This model used the fluorescent powder which need absorb enough high light before they can glow in the dark. The men’s watches with auto date display. 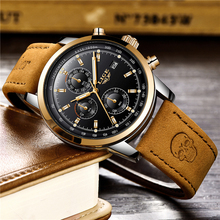 Fashion and Casual style dress watch with a comfortable leather Strap. Sports watch with luminous hands, help you check time easily in the dark. 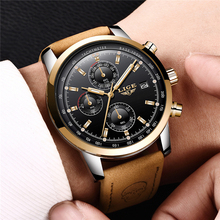 3ATM/30M Waterproof suitable for daily use, hand wash, rainy day, Not suitable for diving, swimming. 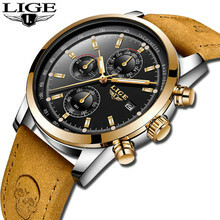 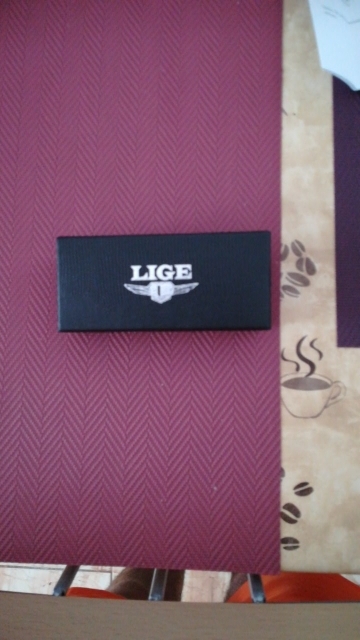 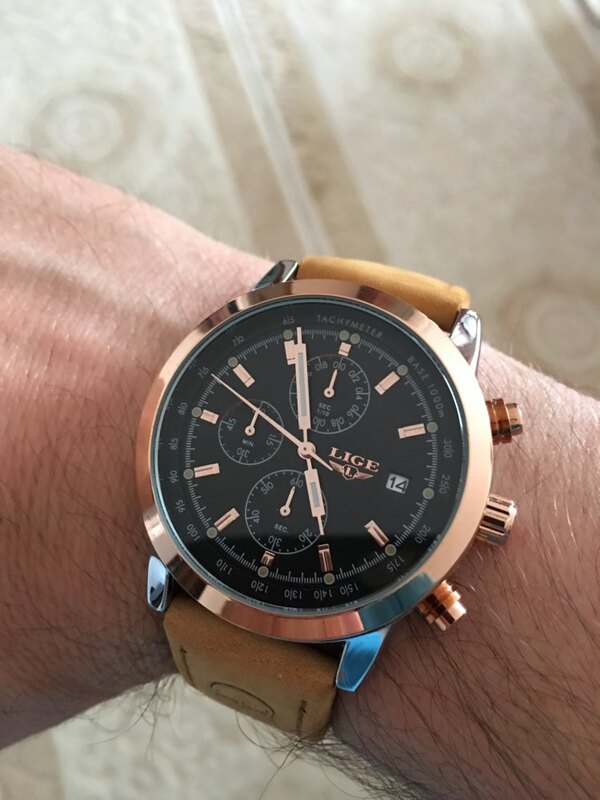 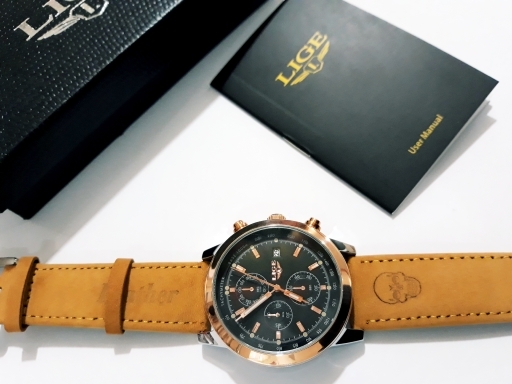 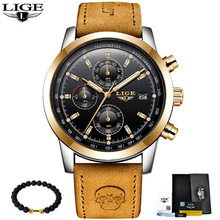 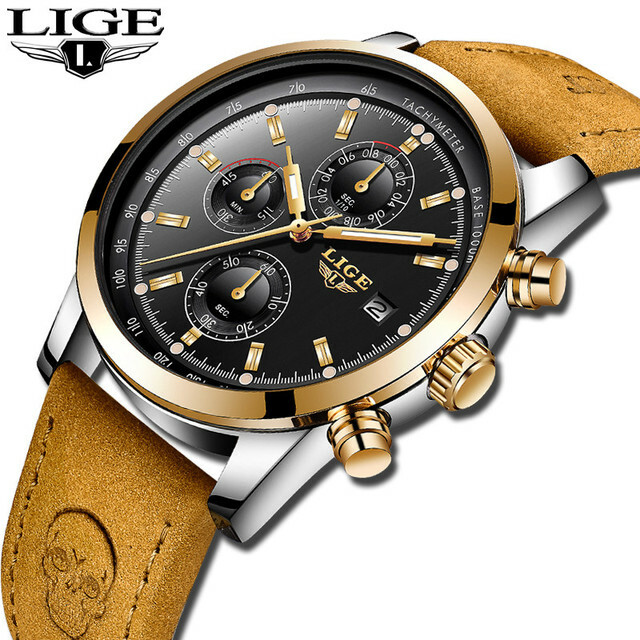 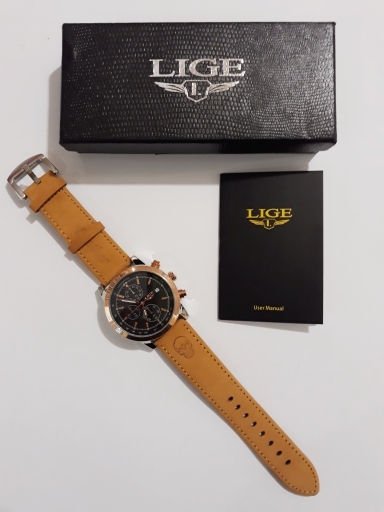 The LIGE Watch will come with a luxury box. 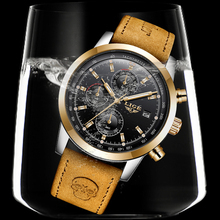 A great gift for anniversary, family or friends. 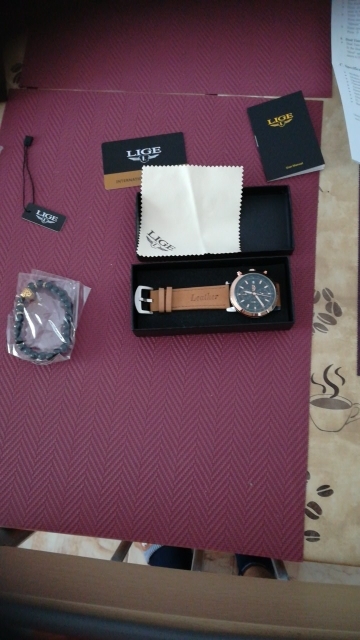 product new to my hand moved on, in use will not a nuisance insha, packaging was intact.